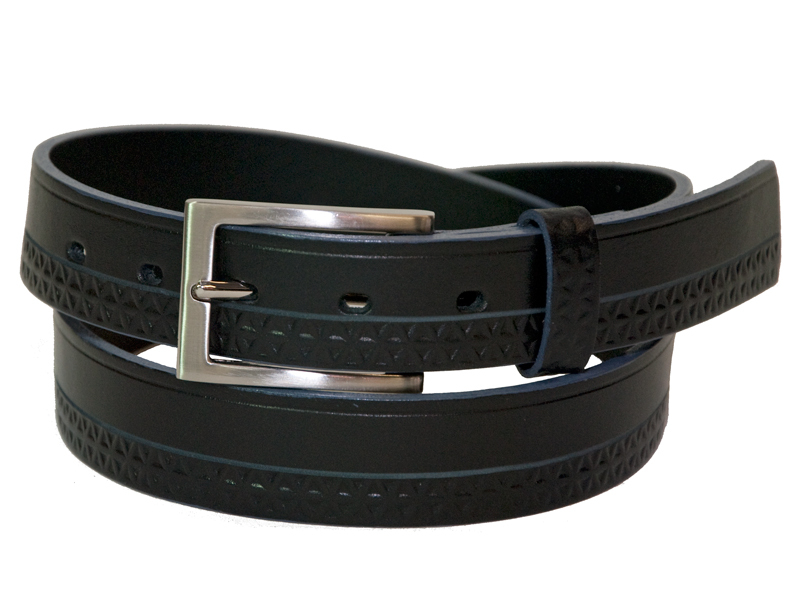 This 30mm (1¼″) belt suits both men and women. It is made from high quality Italian leather and its classic clean lines are enhanced by the contrast scribe line and the embossing on one half of the belt. It has a rectangular half buckle finished in brushed nickel and Leather keeper that matches the belt.